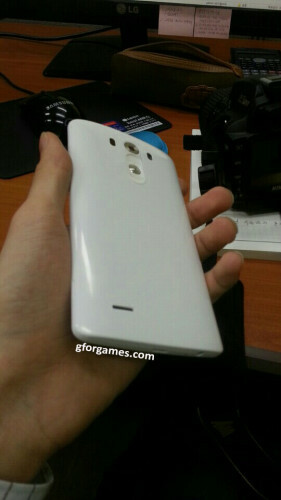 The LG G3 will be unveiled on May 27, so the timing seems right for a few decent pics of the device. That is exactly what we have, and these aren’t blurrycam images either folks. The picture above is actually a better version of the one that we posted last week. You can clearly see the new redesigned back button layout that also leaked a few days ago. We also have two more images below, one showing the front of the device and the other showing the rear of the device again. 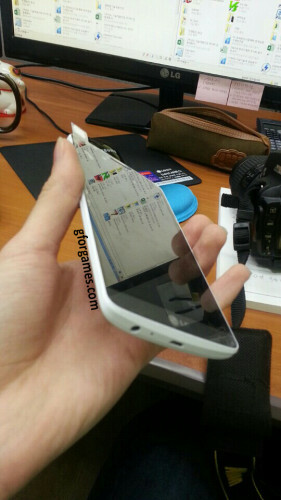 The lack of bezel on the device is stunning to say the least. 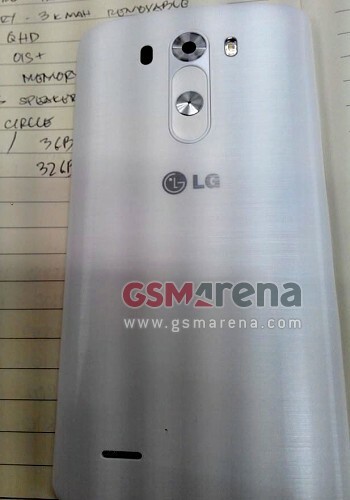 As far as specs go, the source of the top image confirmed that the G3 will sport a 5.5-inch QHD (2560 x 1440) display, 2GB or 3GB of RAM, 16GB or 32GB of internal storage, microSD for expanded storage, 13MP rear camera with OIS+, 3,000 mAh battery, and a rear speaker that delivers 1W of power. I guess I should explain the two different RAM choices. Apparently the 16GB version will sport 2GB of RAM, and the 32GB version will sport 3GB of RAM. Are you guys excited for the G3?